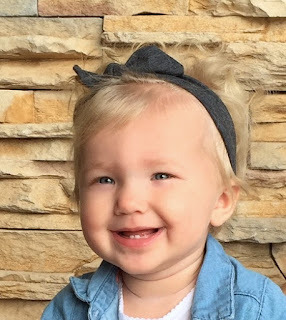 My Granddaughter, Reagan. For her first year I got to watch her three days a week. She's now 13 months old and started day care. On those days that I get to pick her up from day care I need something quick and easy to make for dinner and this Hasselback Chicken is perfect. I saw the recipe from Tip Hero on my cousin Tami's Facebook page. She said it was delicious so I had to give it a try. We liked it as is but next time I will saute some shallot or green onion to give it a little more flavor. It was a perfect recipe for two but can easily be doubled/tripled. You can find the recipe and video here.